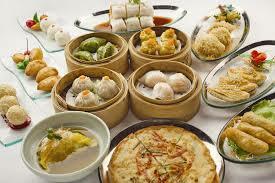 Dim Sum: Literally meaning ‘touch your heart’, dim sums come in a variety of flavours. iN fact, they may number to almost 150 varieties on a restaurant menu to over 2000 flavors in the entire range with new flavours being innovated every day. Since many locals tend to avoid fried foods early during the day, steamed varieties dominate the palate of most. Designed to be washed down with tea while eating with a group of people, dim sums also come in snack sized portions that may be pan fried, deep fried or even baked. You can find dim sum restaurants on every nook and corner of Hong Kong starting from mid priced eateries to high class restaurants. Just go into the one that suits your pocket and enjoy a quintessential HongKong experience. 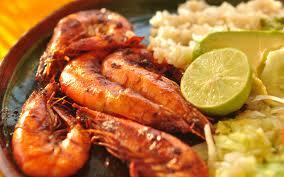 Seafood: Served fresh, Seafood of Hongkong comes in various forms- baked, fried, steamed, sliced, grilled, and stuffed. The food is so fresh that you can see it swimming minutes before it is served on your table. For a true satisfaction of palate, head to your nearest seafood restaurant that comes complete with a dining experience ranging from cosmopolitan fusions to sampan style concoctions that are best served with beer. Do make sure to try steamed fish which is the staple of many locals. Chinese Barbecue: Though the word barbecue conjures images of salad and steaks in backyard, when compared with the popularity of Chinese barbecue, it comes nowhere near. 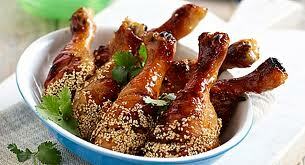 Popularly known as siu mei, these barbecued meals serve as a window into the traditional Chinese roasts. Hanging right in your face at popular fast food chains, high end restaurants and supermarkets, the taste of this will leave your taste buds asking for more. You can also pair your meal with noodles, rice or rice noodles. Fusion: For a city that has seen a multitude of cultures since its inception, it is hardly a surprise to see kitchens across the city fusing flavours derived from various countries and regions. There are traditional Chinese chefs adding soya sauces to European dishes, thus creating a complete new flavour altogether. In fact, these fusion styles and flavours can be found everywhere in the city- from street vendors to five star restaurants. flavours of the city, it is best to schedule a late night excursion that brings out the best of the place for you to sample.